Play only during an opponent's turn and only before attackers are declared. Creatures the active player controls attack this turn if able. At end of turn, destroy all non-Wall creatures that player controls that didn't attack this turn. 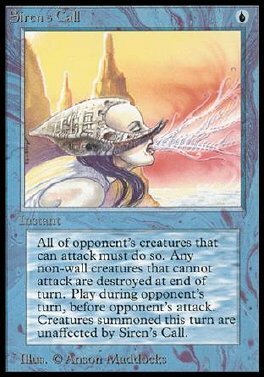 Ignore this effect for each creature the player didn't control continuously since the beginning of the turn.